What’s the Difference Between Dashes and Hyphens? A dash is longer than a hyphen and is commonly used to indicate a range or a pause. 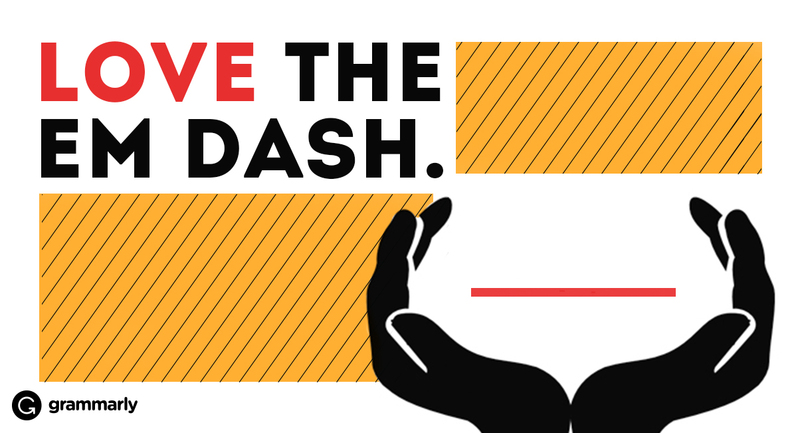 The most common types of dashes are the en dash (–) and the em dash (—). Some compound words, such as self-restraint are hyphenated. Numbers between twenty-one and ninety-nine should also be hyphenated when they’re spelled out. But when you’re not sure whether a compound word should have a hyphen or not, check a dictionary or style guide. Hyphenated words tend to become closed compounds (single words with no hyphens) over time. Email instead of e-mail, for example, is increasingly common. You should also use a hyphen with a compound modifier before a noun. A compound modifier (also called a phrasal adjective) is made up of two or more words that must be understood as a unit. For example, “a big, bright hotel” does not contain a compound modifier because big and bright don’t form a unit of meaning. But “a dog-friendly hotel” does contain a compound modifier; unless you understand “dog-friendly” as a unit of meaning, the phrase doesn’t make sense. The hyphen shows the reader that the words should be taken together as a descriptor for the noun. Most often, compound modifiers are made up of an adjective a noun or participle. They’re also commonly composed of a noun a gerund. But, remember, a compound modifier only needs a hyphen when it comes before a noun. If it comes after the noun, leave the hyphen out. There’s one other caveat: don’t use a hyphen when you have a compound modifier that consists of an adverb ending in -ly a participle or adjective. The -ly is sufficient to show that the compound is a unit of meaning. Take a five- or ten-minute break. Hyphens are also commonly used to divide words that fall at the end of a line of text and continue on the next line. Book and newspaper publishers still set type this way, but it’s rarely necessary to manually insert word breaks in your own writing because modern word processors automatically justify and align your text. If you do need to split a word at the end of a line, it’s best to break the word between syllables. En dashes, which are about the width of an upper-case N, are often mistaken for hyphens. But, traditionally, en dashes function as a kind of super hyphen. They’re meant to give you a little extra glue when you have a compound modifier that includes a multi-word element that can’t easily be hyphenated. For example, the phrase Elvis Presley–style dance moves uses an en dash because Elvis-Presley-style dance moves is awkward; “Elvis Presley” isn’t a compound modifier, so hyphenating it looks odd. But, keep in mind, not all readers will notice en dashes or understand what they mean. Sometimes, it’s better to simply reword the phrase. En dashes are also used to show ranges of numbers, such as times, page numbers, or scores (I’ll schedule you from 4:30–5:00). But, outside of formal printed publications, this type of en dash is commonly replaced with a simple hyphen. The em dash (about as wide as an uppercase M), is a relatively artistic punctuation mark, compared to the more technical hyphen and en dash. An em dash is most often used to indicate a pause in a sentence. It’s stronger than a comma, but weaker than a period or semicolon. The new nurse—who was wearing the same purple scrubs as the old nurse—entered the room with a tray of Jello. I opened the door and there she stood—my long lost sister. “Wait! I forgot to tell you—” The door slammed shut between us and I missed whatever she was trying to say. Whether or not you use spaces around your em dashes (word—word or word — word) is a matter of style. Whichever style you choose, use it consistently throughout your document. Remember, em dashes are not interchangeable with hyphens. Using a single hyphen instead of an em dash can confuse readers and make your writing look unprofessional. If you’re writing text in a program or on a website where the em dash character is completely unavailable, use two hyphens together (–) to signify an em dash.